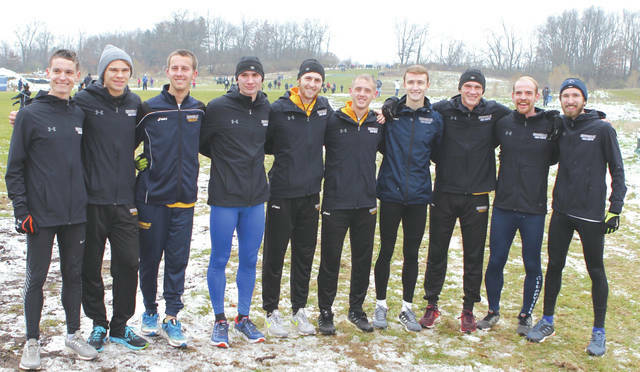 https://www.xeniagazette.com/wp-content/uploads/sites/32/2018/11/web1_CUCCteam_PS.jpgMembers of the Cedarville University men’s cross country team celebrate after placing fifth overall, Nov. 17, at the NCAA Division II Midwest Regional meet, in Hillsdale, Mich. The Yellow Jackets earned an at-large berth to the NCAA D-II national championship meet, which will be held Dec. 1 in Pittsburgh. Photo by Tami Classen.